New tools have recently been developed as part of the WCO Revenue Package, which collates all material relevant to improving fair and efficient revenue collection and compliance levels. Most of these tools are, however, only available to WCO Members. Regarding post-clearance audit (PCA), beside the issue of the new WCO publication ‘Diagnostic Tool on Post-Clearance Audit (PCA) and Infrastructure,’ a PCA e-learning module has been developed and finalized, and has been made available on the WCO CLiKC! platform. In addition, the WCO conducted two training seminars to strengthen the institutional capacity of the Papua New Guinea and the Maldives Customs services in the areas of Customs valuation, PCA and risk management, as well as two regional workshops for countries of the North of Africa, Near and Middle East (MENA) WCO region and for Russian-speaking countries. Moreover, the WCO facilitated a WCO Revenue Package workshop for the Asia Pacific Region to develop a group of facilitators who would be equipped to conduct diagnostic missions on the topics of valuation, classification and origin. The WCO also promoted the instruments developed under the Revenue Package to participants from Afghanistan, Kazakhstan, Kyrgyzstan and Tajikistan attending the Customs working group meeting and workshop organized by the US Department of Commerce as part of the United States-Central Asia Trade and Investment Framework Agreement. The technical work related to the negotiations on the harmonization of non-preferential rules of origin at the World Trade Organization (WTO) is continuing, however without any major breakthrough on ‘open’ issues. The revised Draft Consolidated Text [WTO document G/RO/W/111/Rev.6] of the WTO Agreement on Rules of Origin contains both the texts already agreed by the WTO Committee on Rules of Origin (CRO) and elements which have not been endorsed by the CRO or which represent a compromise proposal by the Chairperson of the Committee. Transposition of this Text into recent versions of the WCO Harmonized System (HS) Nomenclature has been finalized by the WTO. Through the initiatives contained in the Action Plan, the WCO hopes to prepare its Members to face the challenges arising from the growing importance of preferential trade by providing them with all the necessary tools and modern techniques to ensure that rules of origin (RoO) are clearly understood and implemented. Capacity building activities relating to rules of origin have included regional workshops for the MENA and the Americas/Caribbean WCO regions, and national workshops in Kenya and Malaysia. The WCO also organized a RoO expert accreditation workshop for countries in the MENA region. WCO experts participated in four international conferences on Customs compliance that included economic operators, as well as in the fourth meeting of the Organisation of Islamic Cooperation (OIC) COMCEC Trade Working Group, and in an Executive Training on Negotiating and Drafting Rules of Origin session organized by the United Nations Conference on Trade and Development (UNCTAD). One technical question posed by a WCO Member has been finalized. It concerned royalties and licence fees under Article 8.1 (c) of the WTO Valuation Agreement (the Agreement), and is the subject of a new WCO Technical Committee on Customs Valuation (TCCV) instrument, namely Advisory Opinion 4.16.
the treatment of goods in a global value chain (goods imported after a series of purchases of goods and/or services for transformation, processing or repair). The TCCV also examined a new question relating to the treatment of advertising and promotion costs in a situation where the seller decides to carry out advertising and promotion activities in the country of importation and requires the buyer to contract and pay for the goods. National workshops on valuation issues took place in Bosnia and Herzegovina, the Democratic Republic of the Congo (DRC), Moldova and Thailand, as well as in the Comoros and Saint Lucia in collaboration with the WTO. Valuation-related diagnostic missions were carried out in the DRC and the Maldives, and a train-the-trainer workshop on Customs valuation and development of valuation infrastructure was organized in Tanzania. Three regional workshops on Customs valuation and transfer pricing, jointly organized by the WCO and the Organisation for Economic Co-operation and Development (OECD), were held for Customs and tax administrations in the WCO Asia/Pacific, Americas/Caribbean and Europe regions. The WCO also participated in two private sector conferences on transfer pricing issues that were held in London and in Singapore, in order to promote the Organization’s work on transfer pricing and Customs valuation within the tax business community. The fifth edition of the HS, or HS 2012, entered into force on 1 January 2012 and, at present, 117 out of 153 Contracting Parties have notified the WCO that they have implemented the amendments to the HS Nomenclature that became effective from 1 January 2012. Five WCO Members which are not Contracting Parties to the HS Convention have also implemented the HS 2012 amendments. Sixteen national seminars focused on the HS and related matters, including Customs laboratory infrastructure and analysis methodology, were conducted in Albania, Cambodia, Cameroon, the Republic of the Congo, the Dominican Republic, Ecuador, Guinea-Bissau, Montenegro, Saudi Arabia, Serbia, Tanzania, The Former Yugoslav Republic of Macedonia, Tonga, Uzbekistan, Vanuatu and Zimbabwe. A national workshop was organized for the Ghana Revenue Authority’s Customs Division on the setting up of an HS Unit to facilitate the taking over, and future management, of HS-related matters from the current contracted inspection company. Regional experts accreditation workshops on the HS were held for the countries of the Americas/Caribbean, the East and Southern Africa and the West and Central Africa WCO regions. The WCO also participated in the Regional Seminar on Capacity Building on Customs Chemical Analysis held at the newly-established Regional Customs Laboratory in Japan, a national tariff seminar organized by Norwegian Customs, and a workshop on HS classification and advance rulings in China organized by the European Commission’s Directorate-General for Taxation and Customs Union (DG TAXUD). the Organisation for the Prohibition of Chemical Weapons (OPCW) Associate Programme 2015. 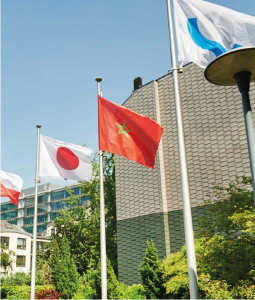 At its 54th and 55th Sessions, the WCO HS Committee took 215 classification decisions, of which 159 related to INN pharmaceutical products linked to the implementation of the WTO Agreement on Trade in Pharmaceutical Products. It also adopted 11 sets of amendments to the HS Explanatory Notes, and 41 new Classification Opinions. 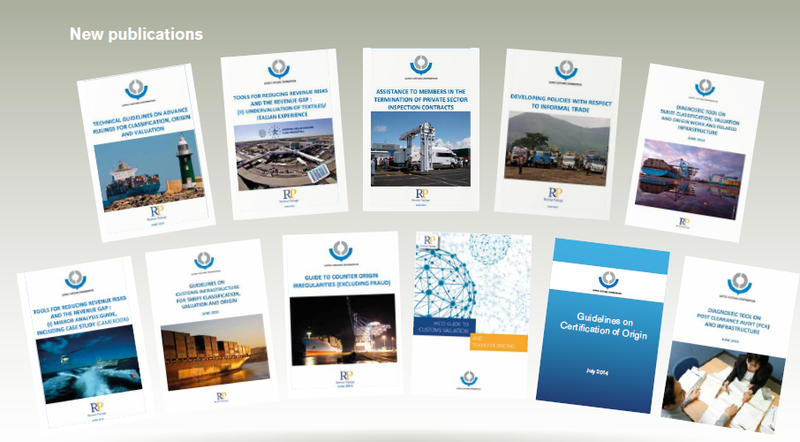 The HS classification decisions (with the exception of those decisions for which reservations have been entered), the amendments to the HS Explanatory Notes, and the amendments to the Compendium of Classification Opinions are available on the WCO website. Successive amendments of headings or subheadings of the HS made it necessary to revise the classification of many INN products. The HS Committee therefore reclassified 592 INN products which had been classified in the past in previous editions of the HS on the basis of requests by the WHO. The reclassifications will be effective from 1 January 2017, consequential to the implementation of HS 2017. At its 55th Session, the HS Committee, in response to a request from the Food and Agriculture Organization of the United Nations (FAO), approved an amendment of the Annex to the Explanatory Notes to Chapter 44 concerning the list of tropical wood species. This list was the result of an agreement between the International Technical Association for Tropical Timber (ATIBT), the FAO and the International Tropical Timber Organization (ITTO) to produce a joint ATIBT-FAO-ITTO General Nomenclature of Tropical Wood in 2015. Based on the expertise of these three organizations, this is considered the most comprehensive and up-to-date universal nomenclature of tropical woods ever produced, providing information on pilot, scientific and local names of tropical wood species that are used and traded internationally today. Following last year’s WCO Recommendation of 27 June 2014 concerning the 2017 amendments of the HS Nomenclature, some corrigendum amendments and certain further amendments were adopted in terms of the WCO Recommendation of 11 June 2015. These amendments will not be legally binding on the HS Contracting Parties until 1 January 2018 in terms of the procedure established under Article 16 of the HS Convention. Nevertheless, the Contracting Parties are encouraged to apply these recommended amendments as from 1 January 2017, consequential to the WCO Recommendation of 27 June 2014. The 2017 edition of the HS Nomenclature and the HS 2017 Amendments Brochure will become available in early 2016. The Correlation Tables between the 2012 and 2017 editions of the HS – an essential tool, notably for the preparation of new national Customs tariffs – has been published.